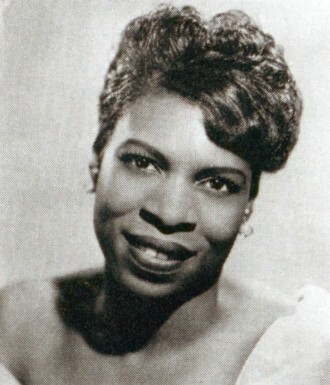 The duet between Little Esther & the Robins set the R&B style for the first half of the 1950s with female vocalists dueting with R&B groups. 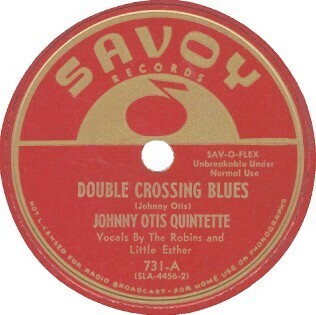 The breakthrough release, ”Double Crossing Blues,” credited to Little Esther (RN: Esther Mae Jones, b: TX, December, 23, 1935) & the Robins zoomed to the top of the r&b charts in March 1950. It was known to record buyers of the day as “Lady Bears,” because of the following lyrics between Little Esther and Bobby Nunn. “I think Ralph Bass wanted to try to have me record for Federal Records, like he had Little Esther. She was popular and they wanted to do the same thing,” matching her with the Four Jacks as Little Esther had been with both the Robins and with the Dominoes. On “Grandpa Can Boogie Too,” Greenwood stated it was very much like “Grandma Plays the Numbers” by Wynonie Harris, both songs being on the sister King and Federal labels. “I remember that song by Wynonie Harris. What they did was just rewrite it to fit a female lead. They gave us the songs and maybe I was rehearsing my part on my own and they were rehearsing their part. Then, we’d get together in the studio. 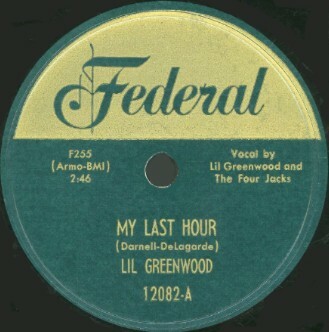 Sometimes they would overdub a group and you wouldn’t even know who they were.”On “Monday Morning Blues,” Greenwood sang with Little Willie Littlefield and the Four Jacks, while on “My Last Hour,” she was backed by the Four Jacks only.Several of these records died on the vine when Hunter Hancock, citing racy lyrics, said he couldn’t play “The Last Of the Good Rockin’ Men” or “Sure Cure For the Blues.” After these sides by the Four Jacks failed, Bass turned his attention to the Lamplighters, whom he paired with Greenwood and who later recorded close approximations of songs by fellow Federal artists, the Midnighters, replicating the Wynonie Harris/Four Jacks sound-a-like pattern. All of these Four Jacks efforts were bootlegged on 45 rpm in about 1970 with a host of other Federal label vocal groups. You are currently browsing the archives for the Los Angeles blues category.